KAMPALA – Two suspects have been arrested by security officers in connection with the killing of Arua Municipality MP Ibrahim Abiriga. 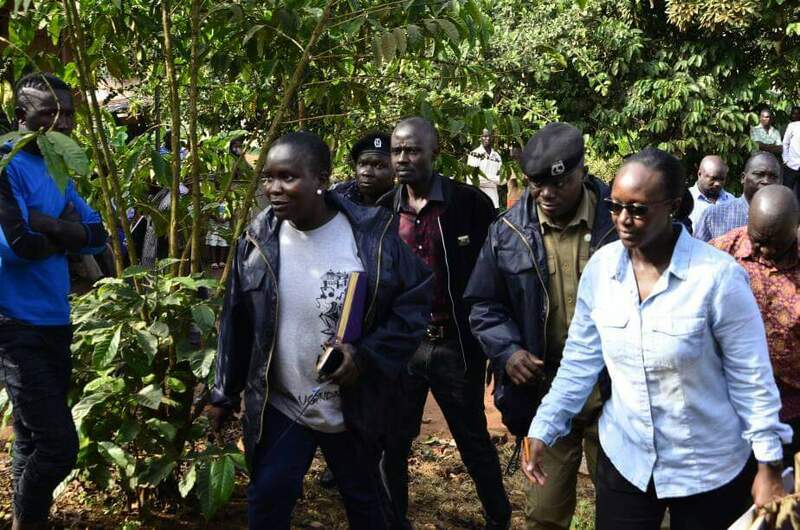 Seven others, including three witnesses, have also been interrogated by the Criminal Investigations Department in connection with last Friday’s killing of Arua Municipality MP Ibrahim Abiriga. . The arrests were made in a joint security operation of Counter-terrorism, Chieftaincy of Military Intelligence (CMI) and CID forces. Police spokesperson Emilian Kayima could not confirm nor deny the arrests but confirmed that many witnesses have been questioned by police in connection with the killing of the legislator and his brother Saidi Kongo. “There are indeed many people we are interfacing with in regard to the ongoing investigations. And expert teams continue to examine the exhibits in our possession,” he said. Sources said the investigation is directly supervised by CID director Grace Akullo. Police CIID director Grace Akello, with other officers at the scene of MP Abiriga’s shooting on Saturday. Sources added that one of those grilled in connection with the crime is Nasser Mugerwa, who sent out an audio recording, claiming they used crime preventers to kill Abiriga and that many other NRM supporters of who backed the age limit amendment bill are on the waiting list. The three witnesses who have recorded statements at CID claimed to have seen the motorcycles in the area being ridden by hooded men. “The witnesses have said they saw the motorcycles at around 3pm and were again seen a few minutes to 6pm. They said they can spot the people if they brought them before them,” sources privy to the investigation said.